New Zealand is a remote place. A VPN is the answer. We hope you won’t argue over the fact that New Zealand is pretty much in an isolated location as far as geography is concerned. Of course, there is nothing inherently wrong with that. But the problem is that such isolation can make it hard for online consumers such as yourself to find and use a reliable and good VPN service. 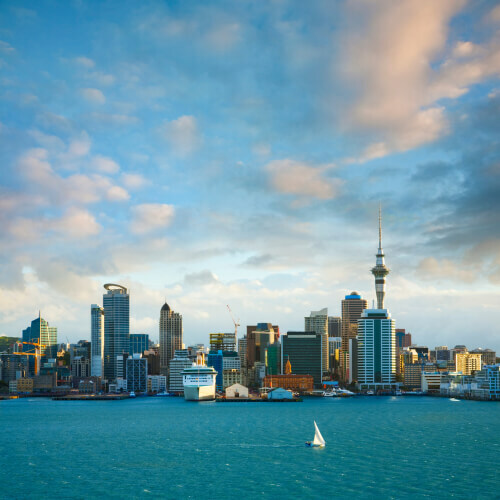 Moreover, if you live in New Zealand but are traveling to another country or if you are coming to New Zealand for a vacation then you have no choice but to deal with the fact that no matter what you will be a long distance away from any country in the world. That, in turn, would mean that you will also be away from any given VPN service’s VPN server network. Consequently, that would lead to prohibitively slower VPN connection speeds. However, we are here to tell you that the VPN market still offers you plenty of options in terms of VPN services that work in New Zealand. Besides, there are many reasons why you would want to make use of a VPN service in a place like New Zealand. The actual reason does not really matter. You could have a desire to unblock various overseas online streaming services such as the US Netflix and others. On the other hand, you may want to make use of a VPN service because you want to get around some other geo-restrictions which block your access to, relatively speaking, important news sites and other types of resources such as Wikipedia and co. In all of such situations, a good VPN service can definitely come in and lend you a hand. And that is also the reason why we have written this guide. In this guide, we will take a deep look at some of the best VPN for New Zealand that online consumers can purchase and then use. Moreover, we will also discuss some more points on what makes a VPN the best in its category and how do VPNs truly become versatile. How to choose the best VPN service for New Zealand. Perhaps you do not need us to tell you that the market currently offers you a ton of options as far as VPN services are concerned. The majority of the VPN services that you will come across during your adventures will claim that they are indeed the best in the industry for various reasons. Most of the time, they will make a lot of sense. But just because something makes sense does not mean that it is true. 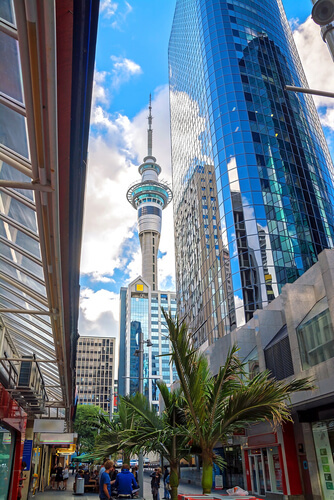 The real question that we want you to think about is that how do you go about selecting the best VPN that you can use in New Zealand? You live in a fortunate time where resources such as Security Gladiators have gone out in the market and have done the majority of the legwork that one has to do in order to look for and research VPN services in the market. At Security Gladiators, we feel pretty good about ourselves when we say that we have reviewed all the top VPN services in the world right now. And hence we know what we mean when we say that we will help you sign up for the best VPN in New Zealand. So here we go Kiwis. Before we actually list out all the factors, readers should know that during our research we actually found a lot of success in identifying various major features that we think would make a given VPN service, the best to use in New Zealand. By the time you have read all of our recommendations, you would know everything there is to know about what to look for in a given VPN service to make sure one gets the best bang for the buck. So without any further delay, here are the key factors that you need to keep in mind. 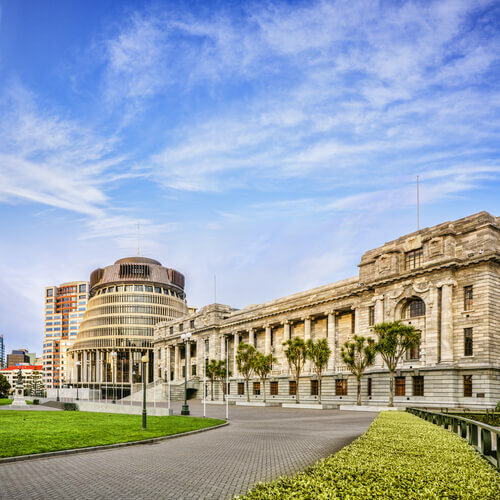 As mentioned at the top as well, the fact that New Zealand is located in a geographically very isolated position, it can become quite problematic for VPN services and for everyone else to provide servers near that place. Hence, it is very important for all readers to only look at those VPN service providers who have servers, actual VPN serves, which are located either in the neighboring country Australia or more preferable in New Zealand. Our research shows that a big portion of all the VPN users in New Zealand actually makes use of a VPN service in order to unblock various overseas online streaming services such as US Netflix and Hulu. Hence, it is very important for you to only look at those VPN services that have a diverse as well as large VPN server network. It is definitely a plus if a speedy VPN service can also work on this tip. Because in the VPN industry, being speedy does not cut it anymore. Privacy protection features should be strong. We are totally aware of the fact that some frown on online consumers who unblock geo-restrictions on various type of content. Such content includes politically sensitive information. Then there are some filtering systems that the government may not want you to bypass. Because of this reason you need to make sure that you sign up for a VPN service that has reliable privacy and security protections. These are the good VPNs in our opinion. The truth is that there is not a single online consumer on the internet, whether beginner or expert, who does not want his/her VPN service to be very fast and very user-friendly. Hence you should always search for those VPN services that have a bit of a reputation of offering users one-click VPN connection features and easy-to-use applications. We hope you are now reasonably aware of all the features that no one should ever forget while searching for a good VPN service. At this point, we hope you know how to spot a good VPN. But for those of you who need help or simply cannot bother to search the internet for such a long period of time, we have created a list. Here is the best VPN for New Zealand list. IPVanish is the complete VPN service for those users who want to make use of their VPN service in order to protect all of their devices. Our research also shows that IPVanish is good because it has a reputation. Some, including us, consider IPVanish as the best VPN service for the majority of the things for which online consumers connect to a VPN service for. We have come to know that IPVanish offers all its users a total of ten simultaneous VPN connections to each and every online consumer. In the real world, that means that you have the opportunity to provide protection to each and every one of your online devices. Not only that, you can also make use of the same VPN subscription package to protect devices of both your friends and families as well. IPVanish also does a good job of offering great and dedicated applications for almost all major devices. We are confident that there is pretty much no type of device that IPVanish cannot cover. And perhaps that is good for business rather than just serving-customers mantra. As far as encryption implementation is concerned, it is pretty solid. Readers should also know that, in the past, some have raised a few questions about how IPVanish goes about protecting the user’s personal stuff. However, IPVanish has always managed to address those issues. Just recently the company fired a bunch of people from the company when the administrative staff found out they had compromised some of the company’s sensitive data. IPVanish took the matter so seriously that the administration fired all the staff who was responsible for the lack of protection of user data. With that said it is also true that the company still maintains that it has the best no-logs guarantee. When everything’s said and done, we hope no one will have any complaints about the trust that iPVanish has built with the VPN industry and more importantly, the customers and the bloggers who talk about all the latest advancements in the field of VPNs. Before we forget, we would like to remind you that IPVanish has official servers which are based in New Zealand. Hence this VPN service is perfect for those who are looking to block content in New Zealand. Our research shows that currently, the company is offering users with only four VPN servers. Because of that, some users may feel that IPvanish servers in New Zealand are slow due to high load times. However, you should also know that there is a very good chance that IPVanish offers a lot more VPN servers in Australia than the company cares to admit on its official website. Our research shows that all these servers in Australia and other places work very well. Almost perfectly for those VPN users who live in New Zealand. Currently, the company is offering its whole server network which stretches to over a total of 47 countries. All we can say at this point is that, IPVanish pretty much has everything that it needs to become a strong competitor in his hyper-competitive VPN industry. Click here if you want to go to the official website of IPvanish and want to sign up for IPvanish as quickly as possible. As far as excellent VPN service providers for New Zealand go, there are very few as ‘excellent’ as NordVPN. Internet users who are based in New Zealand should definitely give this VPN service a try. We say that because it offers users all the greatest features and all the greatest VPN speed and at a cost that most would consider affordable. Pretty much similar to the next VPN service mentioned in this list, ExpressVPN, NordVPN has a huge VPN server network that it offers to all its subscribers. We have also come to find out that NordVPN has VPN serves in as far off places, you guessed it, New Zealand. More specifically though, the company has VPN servers based in Australia and New Zealand. Apart from that, NordVPN also has VPN servers in many other regions and other locations all over the map. Along with ExpressVPN and a few others, NordVPN is actually registered as an offshore company based in Panama. Hence, it should not have any problems in making a name for its service with nothing but good performance and excellent privacy protections. NordVPN, needless to say, offers both. Moreover, the company does not keep any kind of data or user logs on its servers. This is what the company has explicitly guaranteed on other resources. We would say, that feature is security. Security features are the reason why NordVPN is at a place where it should be. NordVPN, just like all the other prime VPN services offers users the complete package. In other words, it has an encryption implementation that is all-round. Not only that but this VPN service provider has one of the absolute best server selections and additionally online security features. We do not know of a good VPN service provider that reliably offers the number of features that NordVPN offers to its own users. Apart from that, NordVPN also offers users the option of making use of, the very in-demand for some people, dedicated IP addresses. Just a couple of years ago, NordVPN did not know how to jump up the ranks ahead of the likes of ExpressVPN and others. It still had all the security features one could ever need. Once NordVPN solved that issue with its service, the popularity graph for NordVPN shot up very quickly. Speed is no longer an issue for the majority of online consumers. NordVPN now has access to new and high-speed VPN servers. These are, as you can probably imagine, ideal for those online consumers who are living in New Zealand. NordVPN is also pretty much the best VPN even for those users who want to connect to New Zealand from a remote country. Click here to sign up for NordVPN from the company’s official website right now and right here. Our research is pretty clear when it comes to ExpressVPN. It is simply one of the best all-round services in the industry that you are likely to find. And that is why we had no choice but to include ExpressVPN in our list of best VPN for New Zealand right now. Users should also know that currently, it is fast gaining on other elite VPN service providers such as NordVPN and IPVanish. 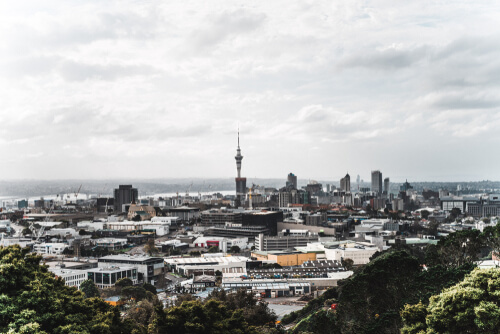 The reason why we believe that ExpressVPN is pretty much the best VPN for New Zealand is that it offers users a pretty big VPN server network. More specifically, the VPN service’s VPN network actually offers connections to more than 2000 VPN servers. After that, you should know that these VPN servers are available for you to connect to, in a total of 94 different countries. The crucial point to notice here is that ExpressVPN works flawlessly well both in Australia as well as New Zealand. We have done enough research in the field to know that these are the exact VPN features that you should look for in a VPN service. Apart from that, this VPN service is also the ideal option for those who want to have access to almost all, if not absolutely all, streaming services in the world. With that out of the way, you should know that ExpressVPN has a lot more to offer to users just like yourself. In order to appreciate all of that, perhaps the first thing that you should know is that the company makes use of some really strong encryption technologies. Our research shows that ExpressVPN can give any other VPN service a good run for its money. And not just that, it can even match the performance levels of some of the best VPN services in the business today. The other great advantage that ExpressVPN has over all its rivals is that the company, as a VPN service, is based in the region of British Virgin Islands. There is no reason why each and every New Zealand online consumer an and should rely on ExpressVPN for all their online needs. The other thing that we have found is that the company does not keep any kind of user logs. This feature alone guarantees that the connection is 100 percent reliable. ExpressVPN also gains marks because it performs great on things such as privacy and security and makes sure that it does not offer these at the expense of the speed of their VPN server. Our research shows that if you were to put a speedometer with the ExpressVPN service (not saying it cannot ever happen in the real world) then it would easily rank itself among some of the fastest VPN services in the world. For the end user, this means that he/she does not have to worry about the geographic distance-disadvantage that New Zealand pushes on them. Such users will also find that ExpressVPN will take care of all connection types to its own servers which are located around the globe. Perhaps that is the major reason why this VPN service provider is considered one of the handful of VPN services that can not only help you to steam various high-quality content but also play video games online in the infinite digital worlds that game developers have created in this day and age. The only slightly negative point that we would like to mention here is that ExpressVPN is by no means a cheap or economical VPN service provider per se. However, ExpressVPN does more than enough to merit a full payment session. Apart from that, the company also offers all its users an official 30-day no-questions-asked money-back guarantee. It means that you will probably have plenty of time to think about your purchasing decision and then move ahead and commit any amount of money. Click here to read out ExpressVPN review. This VPN service offers the perfect blend of features and service-quality which is why it is the favorite among those online consumers who are new to the world of VPN services. The company has an extensive range of servers and has beautifully designed dedicated applications which automatically help users to make use of the best possible settings. CyberGhost VPN can actually change the way it connects you to the internet based on what you want to do on the internet. You do not need us to tell you how this single feature can actually make it unbelievably easy for the user to make use of a VPN service without any experience. Now, you should also take note here that CyberGhost VPN does not offer users an intuitive and easy-to-use user interface at the (potentially dangerous) expensive of privacy and/or security. The company offers a zero-logs policy and can block adware and.or malware. All packages come with a 45-day money-back official guarantee. Click here to read out CyberGhost PN review. An old VPN service that can still mix with the best because of its robustness and consistency. It offers all users a free trial for three days while not offering any money-back guarantee. The server network is big and it covers New Zealand along with the Marshall Islands and Australia. Many independent reviews have shown that VyprVPN has a no-logs policy which is 100 percent reliable. Don’t expect blazing speeds though. However, it should suffice for the majority of online consumers in New Zealand and outside it.